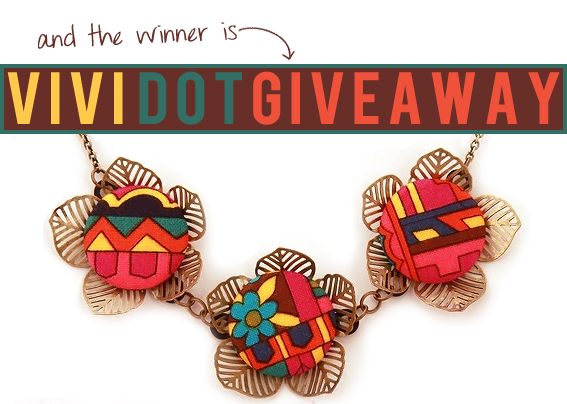 Bubby and Bean ::: Living Creatively: Guess Who WON the Vivi Dot Giveaway?! Guess Who WON the Vivi Dot Giveaway?! Thanks once again to Molly and Vivi Dot! And check back soon for our June Giveaway, where you'll have a chance to win another great prize package from Bubby and Bean's June sponsors.